Crossflix delivers the best in Faith Oriented Entertainment, Education and Inspiration by licensing and producing the best faith Content see New Featured Movies every week like "Like a Country Song" Starring Billy Ray Cyrus, Revive Us with Kirk Cameron, Gallows Road starring Kevin Sorbo and Ernie Hudson, Savannah Starring Jim Caviezel and Chiwetel Ejiofor, plus hundreds of award winning documentaries, Kids animation and the Crossflix Living Bible Series consisting of 50 Half hour Episodes. If you're like me, you really get frustrated that it's dangerous to watch television these days! Shows are crossing every line there is to cross, even in the middle of the day. Movies are even worse. And if you can find something safe to watch, the commercials will get you every time! Netflix and other subscription sites carry shows and movies I don't want my kids exposed to, as well. Even more so, now that they're teens! Isn't there enough temptation out there without pumping it into our homes? 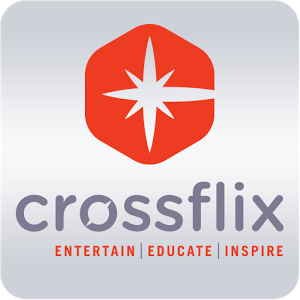 Crossflix is a subscription site that presents only faith-based television and movies! It's the perfect solution for our family! We have been absolutely loving the shows that we find there, and I never have to worry when my kids watch online, that they're going to be surprised by some scene that is straight from the devil into their growing minds. My daughter, in particular, will find a movie she loves and watch it over and over and over again. I love that she's receiving Godly messages and watching Godly examples. We couldn't be more pleased with our subscription to Crossflix! That's why I'm so excited to tell you about a GIVEAWAY for a FULL YEAR subscription of Crossflix for your home! Just follow the link and it's easy to enter! I hope you win! You can also get a 14-day trial subscription when you visit Crossflix online. You won't be sorry! ** I received a 3 month subscription to Crossflix, in exchange for my honest review. I am trying to decide between Crossflix and Pure Flix. Can you tell me why you are better than Pure Flix?